The blazing insert to the 2008 comp album, Have Another Ball! 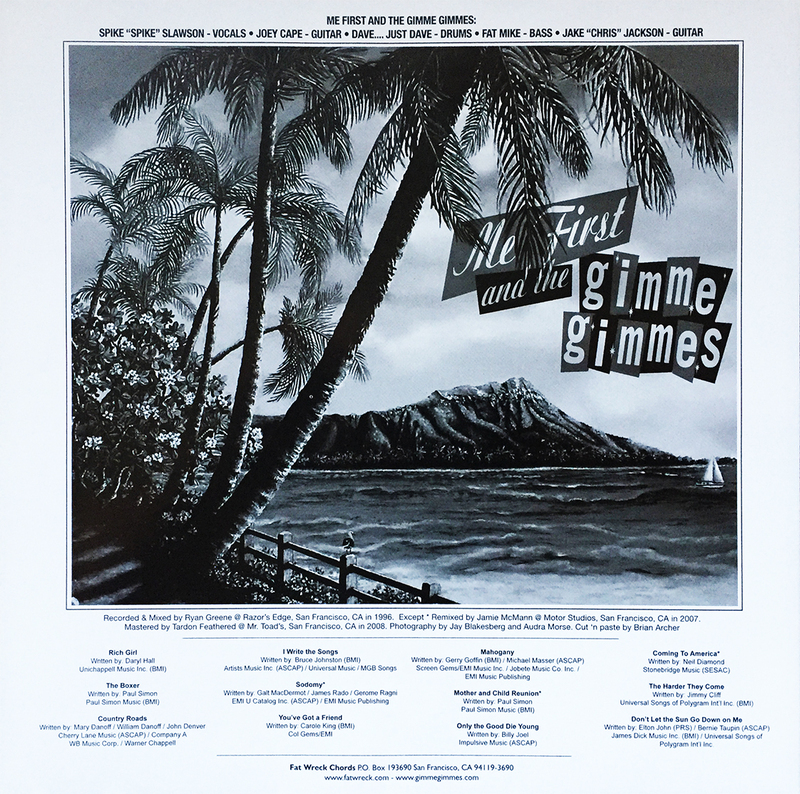 (The Unearthed A-Sides Album) released by Bay Area goofballs Me First and the Gimme Gimmes depicts a lovely, mid-century paradisiacal oasis atop a jovial list of jukebox, Top 40 cover songs. A “greatest hits” album all but in name, Have Another Ball! contains pop-punk versions of such memorable tunes by Paul Simon, Daryl Hall, John Denver, Carole King, Billy Joel, Neil Diamond, and Elton John. Certainly an album to own for those loopy late nights. “A paradisiacal oasis, right at your fingertips.” Enjoy!